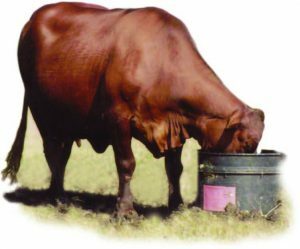 7-7 Extra Phos - Hudson Livestock Supplements Inc.Hudson Livestock Supplements Inc.
7-7 Extra Phos is a great tool in achieving a more efficient, production herd. Uniform consumption is achieved through the palatable cane molasses that conceals this highly fortified mineral supplement. With the chelated trace minerals in 7-7 Extra Phos, the trace minerals are more readily absorbed in the blood stream, helping your herd achieve peak performance. This product is great for summer time use when high quality forages are available. Help your herd achieve maximum performance with 7-7 Extra Phos.